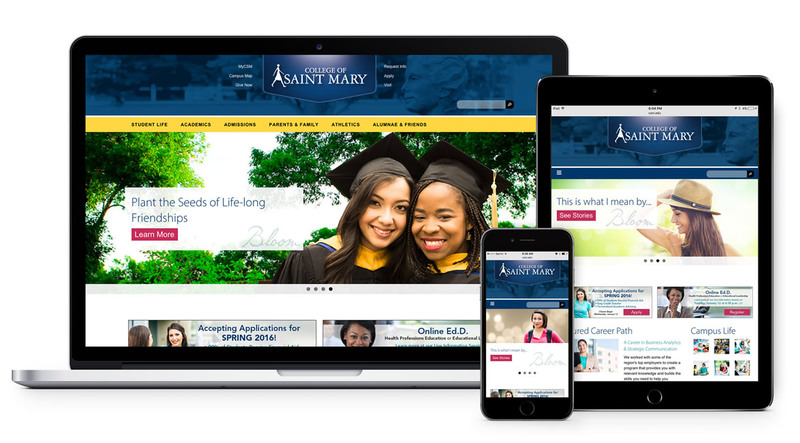 We implemented a strategic markting plan for partner College of Saint Mary that reinforced their unique market position via award-winning and results-generating markcomm implementation. The result of our marketing efforts yielded a 33% increase in first-time/full-time students and a 4.5% increase in total students this last academic year alone after a strong and steady build from what was in decline before we joined them. The website was overhauled, made user-friendly and responsive, stand-out, award-winning TV spots were aired and placed in digital media, strategic PURL campaigns generated leads from across the nation, PR efforts yielded press, clicks, Best of Show and national acclaim awards, and the Mothers Living & Learning program gained national exposure via award winning videos as well. Today dorms are at capacity and the campus is planning new capital projects to expand its footprint.